Dear guest, my team and I would like to offer you the warmest of welcomes. Whatever the reason for your visit to Catania, we will do our utmost to ensure you enjoy a unique and unforgettable stay. 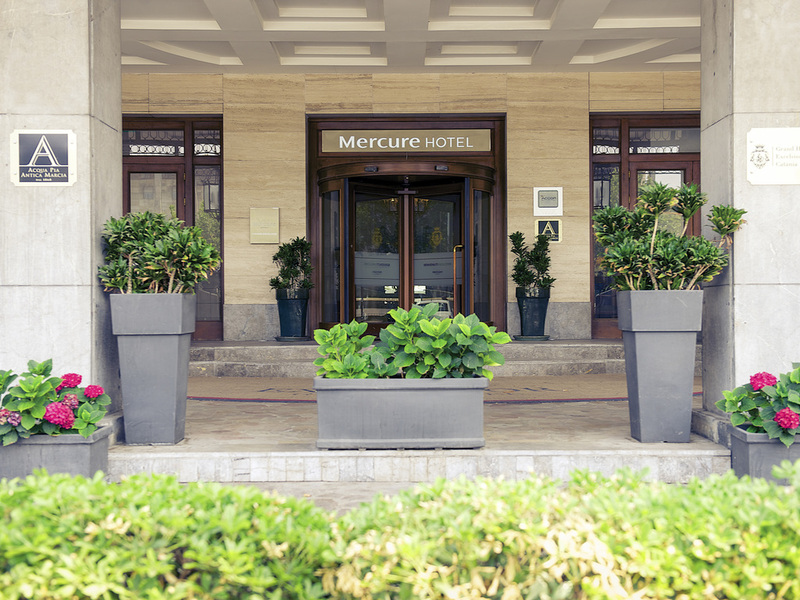 Located in Piazza Verga, in the heart of Catania, the prestigious Mercure Catania Excelsior is ideal for both leisure and business travelers. Built in 1953 and newly renovated in 2001, it has 176 rooms, including 12 Grand Suites. Its conference room, banquet room, 7 meeting rooms, restaurant with garden, American Bar and Fitness center make it the ideal solution for business and international meetings. The decor is based on Mediterranean colors and flock wallpaper, recreating a classic, sophisticated atmosphere. Standard Room with inner-facing view, approx. 194 sq. ft. (18 m²), double bed or twin beds. Superior Room with balcony and view of Mount Etna, approx. 258 sq. ft. (24 m²), double bed. Superior Room with balcony and view of Mount Etna, approx. 258 sq. ft. (24 m²), twin beds. Grand Suite measuring approx. 431 sq. ft. (40 m²) with double bed and balcony or terrace. Lemon trees adorn the terrace of the Le Zagare restaurant, which serves regional specialties using the best Sicilian produce. The creative, sophisticated cuisine includes freshly caught fish from local waters. Beautifully decorated in the colors of the sun and earth, which are reflected in the luxurious wood flooring and the stunning gold-on-black engravings, it is the perfect place to enjoy drinks and snacks, and to hold more informal business meetings.